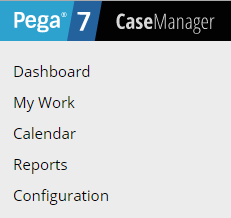 On the Configuration dashboard of the Case Manager portal, you can manage and modify the delegations that have been assigned to your access group. Rule delegation allows the business line to configure simple application logic without involvement from IT. 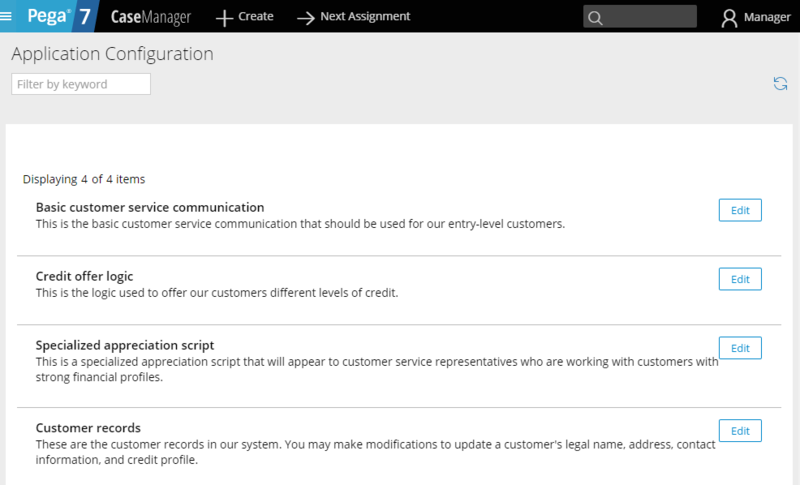 For example, if a decision table is delegated to a business line manager, the line manager can view the rule in a familiar environment, such as the Case Manager portal, and can update it as a standalone item without knowing all of the related, technical details. Open the Case Manager portal. Click the Edit button next to the delegation that you want to modify. You can modify the content on the page that is displayed. 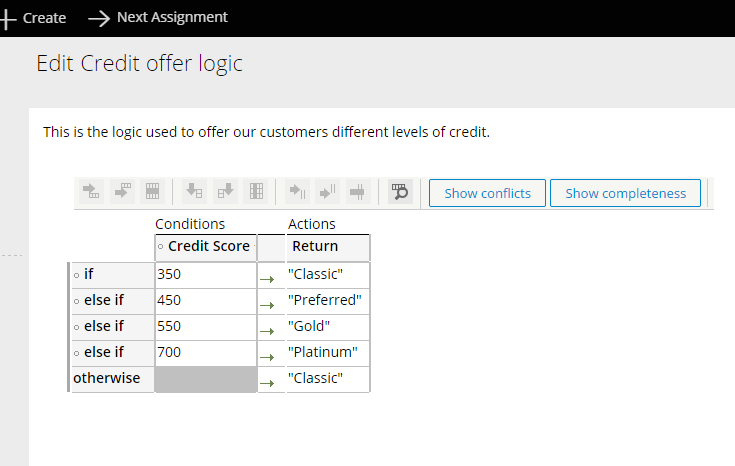 For example, if you are modifying a decision tree, you can add, modify, and delete rows.